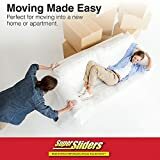 Make moving furniture the easiest part of your move or remodel with these reusable SuperSliders Furniture movers. 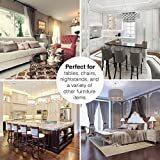 With these furniture sliders, you don’t have to worry about moving large items across hard surfaces and carpet. 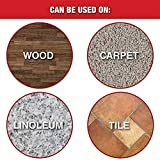 Simply put them under your large and heavy items and they’ll help you quickly and easily move your items across ALL surfaces, carpeted and hard! 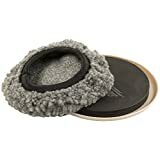 When moving your furniture from carpeted surfaces to hard floors, simply slip on the removable “sock.” Made of durable rubber foam, these furniture sliders provide proper weight distribution and a secure grip, making it easy to move furniture into just the right place…or maybe just a little more to the left. 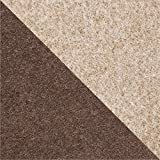 They also protect your flooring surfaces from damage from moving and everyday use. 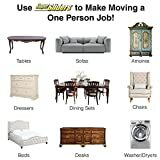 They’re reusable, too, so you can remove them after moving your items to use again and again, or leave them in place for future moving or cleaning – yep, it’s not just you who likes to rearrange furniture every few months. They’re a great accessory for making cleaning day a breeze and cleaning those hard to reach spaces, too. 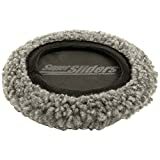 SuperSliders are the #1 best-selling and most trusted furniture mover on the market today -- offering superior quality and long-lasting performance for all of your furniture moving and floor protection needs. Each pack includes 4 round furniture movers and “socks”, measuring 5” – they’re an essential purchase for every household! 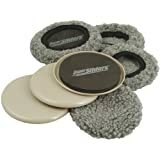 BEST-SELLING PRODUCT - Each pack includes 4 of the #1 best-selling and most trusted round furniture movers and 4 socks for hard floor surfaces, measuring 5"
Interested in the Supersliders 4703995N Multi-Surface 2-in-1 Reusable Furniture Carpet Sliders with Hardwood Socks- Protect & Slide on Any Surface 5" Linen (4 Pack)? Is the price too high? You can easily price watch this product and we'll notify you when the price reaches your target.